Foothill Terrace is a 40-unit, Section 8/Tax Credit community located in Sylmar, CA. The waiting list is currently closed. Each two, three and four bedroom unit includes wall-to-wall carpeting, window blinds, a private patio or balcony, and a kitchen with a range and oven, refrigerator, and waste disposal. The property went through an extensive renovation in 2014 and now residents can enjoy access to a spacious community room with a kitchen, computer lab, large-screen television, and library. The community also features on-site management and maintenance staff. Resident activities include bingo games, computer and exercise classes, and monthly resident parties. 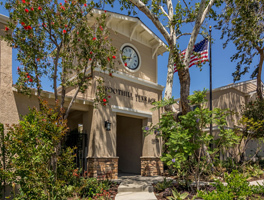 Foothill Terrace is conveniently located near public transportation, markets, the post office and community centers.